London has a way of separating tourists from their hard-earned cash. But just because you can’t afford those Tom Ford over-the-knee boots from Harrods doesn’t mean you can’t have a blast window-shopping on Oxford Street or hunting for vintage clothing at Brick Lane Market. If you don’t mind getting a bit creative though, there are a ton of ways to really streeeeeetchhhh your travel budget. 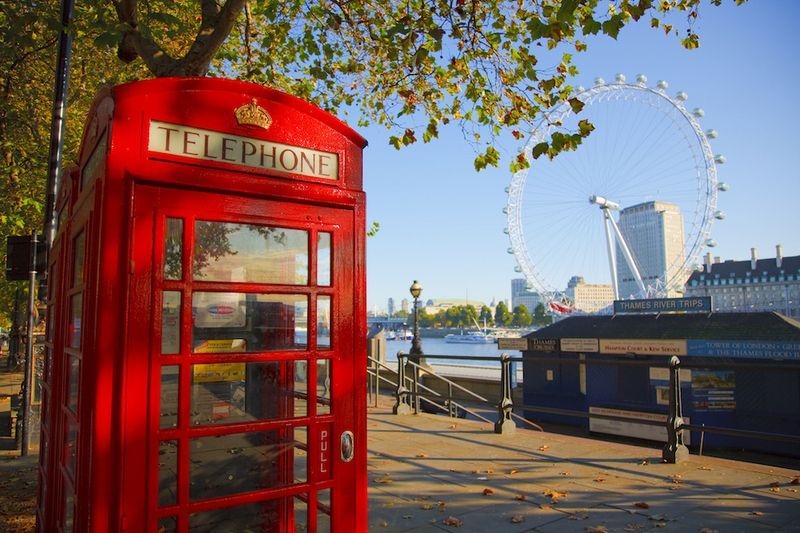 These vacation hacks will help you get the most out of London … on a shoestring. You’re going to use public transportation to get around London, so your first purchase on arrival should be the Oyster Card. It automatically uses the lowest fare available and caps at a daily maximum fare per travel zone. Available at many tube and bus stations as well as ticket shops, the Oyster Card can be credited with any amount and topped up throughout your stay. Even years later, the card will still be valid, so come back to London or be a good chap and pass it along to one of your friends. If you prefer to stay above ground, take in the sights and save even more money, be the bloody tourist you are and jump on a double-decker bus. The best seat, of course, is in the front on the upper deck. 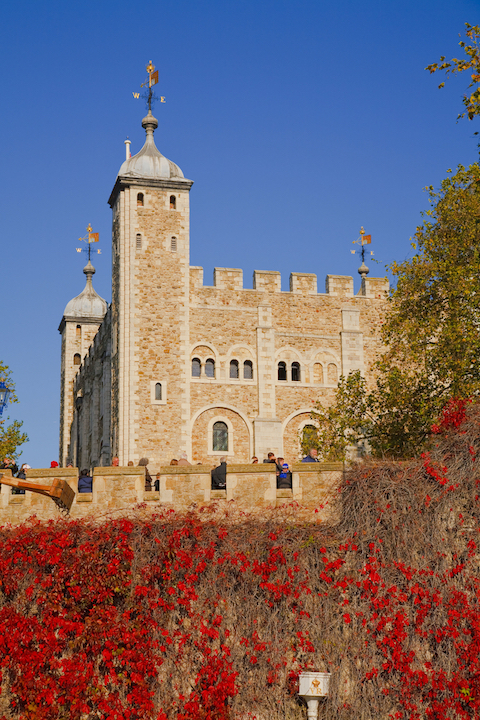 The lines 9, 11 and 15 pass along many of the city’s historical sights such as Trafalgar Square, St. Paul's Cathedral and the Tower of London. England is known for its dreary, wet weather, so it’s a good idea to plan for a rainy day. Thankfully, many of London’s world-class museums don’t charge entry fees, apart from special exhibitions. 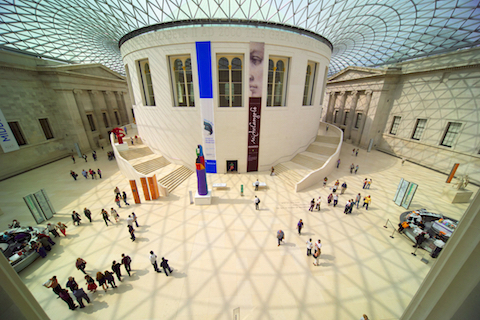 The British Museum takes visitors on a journey through the ages and is famous for Greek Parthenon Sculptures, the Rosetta Stone (a critical tool for deciphering the Egyptian hieroglyphs) and Samurai armour from medieval Japan. The Victoria and Albert Museum (known as the V&A to the locals) is the world’s largest museum of decorative arts and design. Spanning four centuries, its fashion collection has one of the largest and most comprehensive collections of clothing in the world ranging from rare 17th-century gowns and 1930’s eveningwear to chic outfits from 21st-century designers including Alexander McQueen and Pierre Cardin. 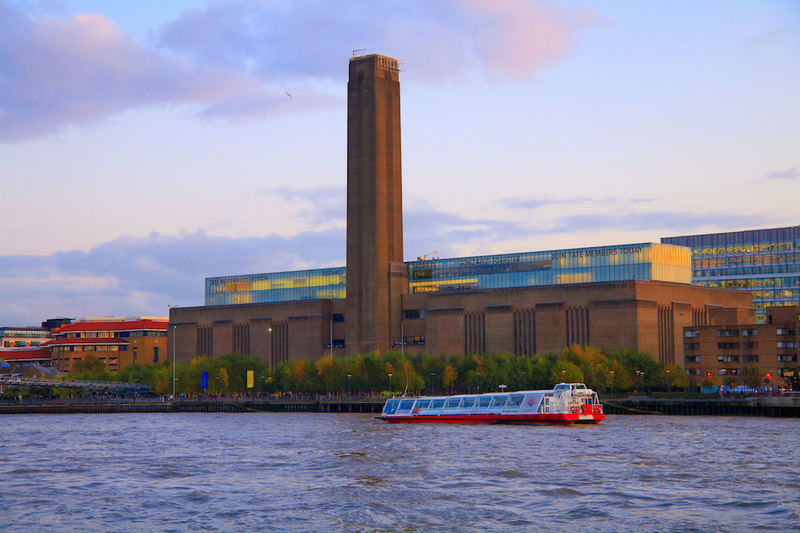 Located in a repurposed power station, The Tate Modern is home to a permanent collection of contemporary British and international art (Picasso, Dali, Warhol) and is always worth a visit if only for its impressive turbine hall and the panoramic view over the Thames River and St. Paul's Cathedral, London. You can't miss the modernist marvels at the Tate Modern. Test out your heiroglyph literacy on the Rosetta Stone at The British Museum. The entry fee to Westminster Abbey—where Prince William and Kate Middleton tied the knot—will usually put you out 20 British pounds. However, if you wait until the choral Evensong service (5 p.m. during the week and 3 p.m. on Saturdays), entry is free and you get to listen to the sweet sounds of a wonderful church choir for an hour. London’s highest (and arguably best) view is situated at the top of The Shard, but at approximately 26 British pounds, it’s not exactly a cheap option. Alternatively, you could head to GŎNG—London’s highest bar, on level 52 of The Shard—for sunset cocktails or late-night drinks. For a slightly higher minimum spend (about 30 British pounds), you’ll enjoy a killer view, your own table for up to two hours and a glass or two of bubbly. Sky Garden, London’s latest tourist attraction, is the city’s highest public garden. It spans three stories and offers uninterrupted, 360-degree views of the city. Wander under the glass dome, explore its landscaped gardens and blow up your Instagram with photos from the observation deck. Entry to the Sky Garden is free, but space is strictly limited to an hour. Visits must be booked in advance. 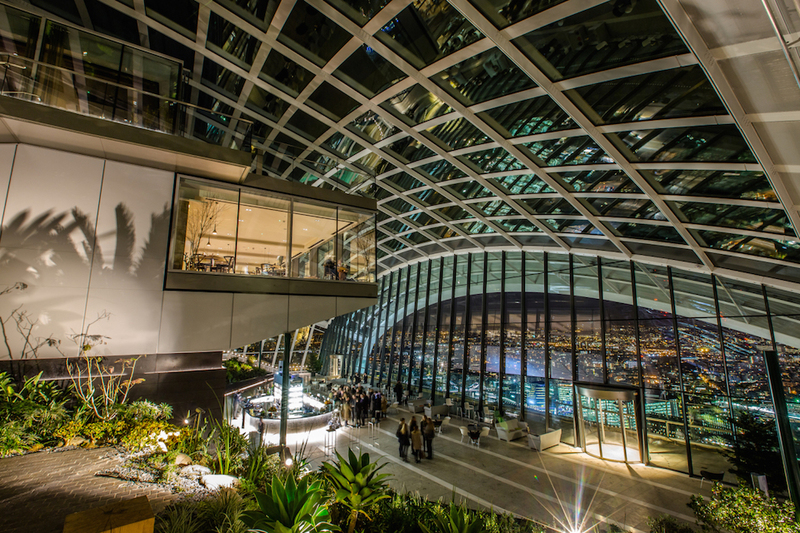 London's brand-new Sky Garden boasts some of the most spectacular views in the city. 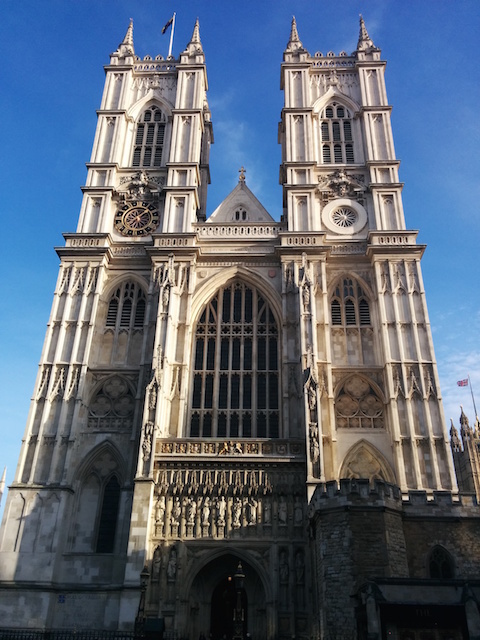 Plan your visit to Westminster Abbey around the free choral Evensong service. 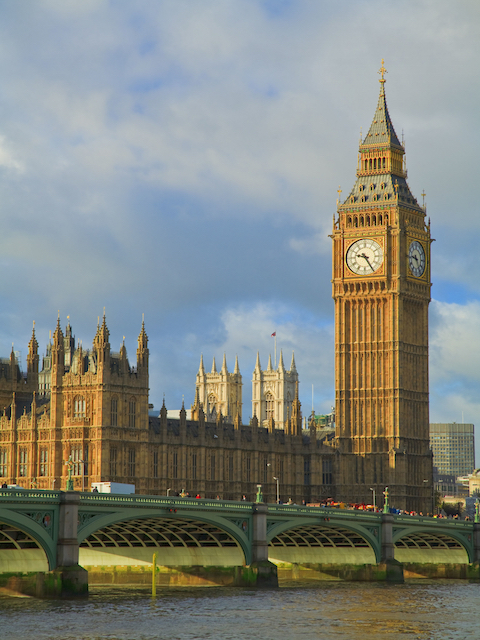 Big Ben towers over the Palace of Westminster. Much loved by visitors and locals alike is the Shakespeare's Globe on the southern side of the Thames River. Here, you can see Shakespeare’s most famous plays for a bargain—but there’s a catch. You won’t actually have a seat. Stretch your legs and get a ticket for the standing-room only area, known as the Yard, for about 5 British pounds. Be sure to get in early as only a small portion of the Yard is covered by a roof, and the majority of standing spectators are exposed to the elements. To get the best view for the Changing of the Guards arrive at Buckingham Palace at or before 11 a.m. (space is limited along the fence). The ceremony lasts about 45 minutes and takes place daily at 11:30 a.m. from April until the end of July and on alternate days for the rest of the year. While you wait, take selfies with the two mounted sentries who guard the entrance to Horse Guards. They’re always happy to oblige, but don’t expect smiles and don’t even think about touching the horses. 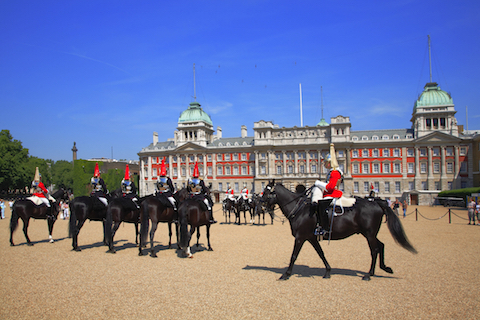 For a much closer encounter with the Royal Guards, head over to Whitehall instead where the Household Cavalry Mounted Regiment also changes guard and holds a parade at 11 a.m. Due to the 15-minute walk between locations, you can’t do both ceremonies on the same day. However, if you have to choose between the two, Whitehall allows for far better photos, without the barriers of railings or large crowds. Arrive at Buckingham Palace before 11 a.m. for optimal views of the Changing of the (Furry-Hatted) Guards. St. Paul's Cathedral sits on the highest point in the City of London. Having a nice meal out doesn’t have to break the bank. Head to Brick Lane for Chinese, Indian and other ethnic restaurants that offer top-quality foods at lower prices. Check out the Old Truman Brewery for Asian or Mediterranean dishes for less than 7 British pounds or visit the Beigel Bake for traditional salt beef-stuffed bagels. Some smaller restaurants don’t have an alcohol license, and it’s BYO galore with corkage fees as low as 2 British pounds per bottle. True bargain-hunters who just need a quick bite should run into one of the city’s supermarket chains such as Tesco, Morrisons, ASDA and Sainsbury’s. All types of sandwiches and ready-to-go meals, such as Greek salads and sushi rolls, are heavily discounted a day or two before their expiry date and can usually be found in the chilled food section. After a late day at the office, I succumb to this “reduction dinner” more often than I’d like to admit. Wibke Carter is a world traveller who was born in Germany and has lived in New Zealand and New York. She currently enjoys love, life and laughter in London. Brick Lane Market is a London market centred on Brick Lane, Tower Hamlets in east London. It is located at the northern end of Brick Lane and along Cheshire Street, in the heart of east London's Bangladeshi community. 24-hour bakery known for traditional Jewish-style filled bagels such as salt beef and smoked salmon. Brick Lane is a street in east London, England, in the London Borough of Tower Hamlets. Elaborate shopping emporium with glittering Egyptian Room and acclaimed Food Hall. Whitehall is a road in the City of Westminster, in central London. It is where the Household Cavalry Mounted Regiment changes guard and holds a parade at 11 a.m.
Luxurious, Asian-themed cocktail bar with an infinity pool, on the top floor of Shangri-La Hotel. Oak-and-thatch replica of original Elizabethan theatre, showing Shakespeare plays in the open air in London's Bankside neighborhood.